When world trade is in an economic downturn countries around the world look to ensuring employment of the population and manufacturing is the key. GEMS Education in Al Khail delivers high quality education with an international outlook – critical in an increasingly competitive global environment. The state of the art learning facility’s multi-faceted approach to learning prepares students for the rigors of higher learning and equips them with the skills and versatility they require for professional employment. Design, Technology and Science equipment specialist with over 30 years’ experience, HME Technology Limited secured the contract to supply, install and commission the Art, Textiles, Graphics and Design & Technology suite. The investment of furniture and machines will enable the students to learn using plastics, wood, metal and materials in both computer aided design and manufacture. HME Technology Limited Chairman Martyn Hale had the pleasure of recently attending the school to deliver the departmental staff and Mr Evo Hannan the head of the Design & Technology, their certification and accreditation following the HME training on use of the machinery especially computer numerical controlled 3D printing, laser cutting, routing and lathe machinery. Commenting Martyn records that the visual impact on parents who visit the school will recognise their children will be well prepared with the introductory skills for future employment when facilities as advanced as here are being fully utilised. It also reflects on the skill of the teaching staff to be able to use maybe 15 to 20 different machines over a period of a term. Those are the challenges teachers of the subject rise to deliver a sound teaching curriculum. 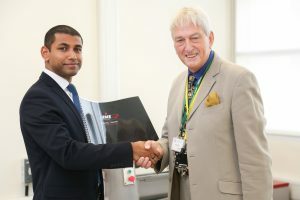 Further Mr Hannan welcomed the presentation of his set of ‘Teacher Task Sheets’ based on 14 machines to assist his delivery of the curriculum, these were developed by HME using the expertise of a range of D&T professionals in England. These cover health and safety and key facets of each machine especially 3D printers, and support Mr Hannan to meet the curriculum. Kevin Hughes HME accredited trainer emphasised that it is not just about supplying equipment but investing in our key market of design and technology, ensuring we can wherever possible support the teaching staff with resources and maintaining that long term relationship with each school to ensure health and safety is key when using a range of processes and materials. Since re-launching in October 2015, Artsmark has now reached one million pupils through over 2,500 schools across England. Artsmark is the Arts Council’s flagship award for schools. Re-launched in 2015 with a simplified structure, Artsmark champions arts and culture in a growing network of schools across England. The award supports teachers to plan, develop and evaluate high quality arts and cultural education within a broad and balanced curriculum. Arts and culture have been shown to build confidence, resilience and drive that helps children grow into happy, articulate and succesful young people. Through the award, schools can also provide evidence for how they meet the spiritual, moral, social and cultural requirements for Ofsted. The biggest Digital Skills Festival in the North of England returns to Manchester next month to showcase the best and brightest talent the industry has to offer. As well as offering support to digital businesses and organisations, and valuable hands-on experience to students, the conference aims to promote Manchester as a thriving digital hub and help the region’s businesses recruit and retain talent. 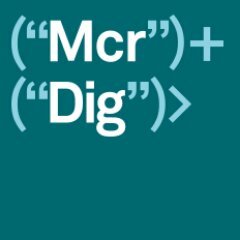 The Digital Skills Conference will take place on the first day of the event, from 10am to 4.30pm at Manchester Town Hall. 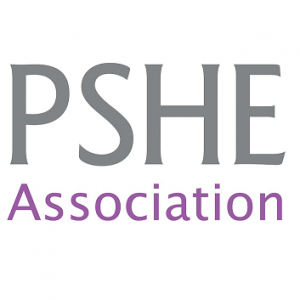 This year the focus will be on what colleges and universities should be doing to ensure a large and diverse talent pool is available for the digital sector. Studytracks has announced that Cathy Guetta, Fay Arjomandi and Raphael Aflalo have joined the edtech startup’s advisory board with the aim of continuing its rapid development, including plans to partner with renowned music artists. Cathy Guetta and Raphael Aflalo are the co-founders of My Love Affair, an international agency dedicated to bringing together brands and artists. Fay Arjomandi is the former CEO of Vodafone Xone. The app has also recently been updated and now features over 500 songs for both GCSE and AS-level subjects, as well as US SAT. 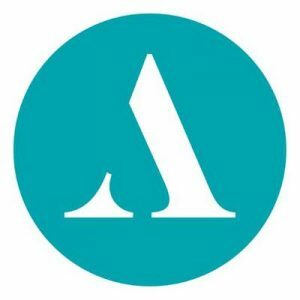 Highly commended Bett Award finalist and study app, Studytracks, today announced its partnership with three prestigious advisors: Cathy Guetta, Fay Arjomandi and Raphael Aflalo. 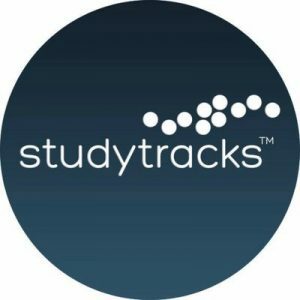 With this partnership, Studytracks plans to collaborate with globally recognised, contemporary vocal artists to highlight the app’s innovative way of learning. Part of the campaign will see artists record their voices and lend their talents to tracks that will then be available in the app for students to listen to and learn from. Creative artistic director and internationally acclaimed businesswoman, Cathy Guetta, and expert in communications and digital marketing, Raphael Aflalo, both are affiliated with ‘My Love Affair’, an international agency dedicated to bringing together brands and artists. The two of them, along with Fay Arjomandi, former CEO of Vodafone, have partnered with Studytracks to ensure the app reaches students from all over the world, giving them a fresh and innovative way of studying that fits with a 21st Century lifestyle. 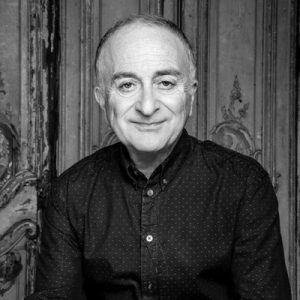 Studytracks, which was founded by Ivor Novello Award winner, George Hammond-Hagan, officially launched in February 2016 and merges music with study materials, creating lyrics or “hooks” relating to a specific exam theme or topic. These hooks become embedded in students’ memories – just like the lyrics to a song – enabling them to recall information easily and effectively. Within less than a year of launching, the app has already been downloaded by over 40,000 students. It’s most recent update, Studytracks V2.0, launched in September 2016 and now includes greater functionality, integration, and over 500 songs within various UK GCSE, UK AS-level subjects and US SAT. 30 January 2017: Global literacy project Curious Learning is on a mission to bring 100 million children to fluent literacy by 2025 by utilising mobile technology for learning. Created by leading researchers from MIT Media Lab (Massachusetts Institute of Technology), Tufts University and Georgia State University, Curious Learning is transforming mobile devices into a literacy solution, so every child can learn to read – with or without a teacher. 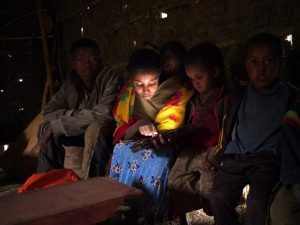 Through the distribution of tablet computers loaded with a software package of literacy apps, Curious Learning is reaching economically disadvantaged communities around the world to improve the early reading skills of young children. Curious Learning tablets contain a collection of literacy, writing and language apps and are currently being used by over 4,000 children in eight countries including Ethiopia, America, and South Africa. To date, the results of children using the tablets have proven to accelerate reading acquisition by up to two years. One of the UK-based partner apps, Froggy Match-it, is an educational phonics game that ensures improvement in reading and spelling for children aged 4-6. Former schoolteachers Lynn and Graham Lettice created Froggy Match-it after noticing the advantages of kinaesthetic learning on mobile devices, and were thrilled to have their app chosen by Curious Learning to feature on the tablets. Using research capabilities from MIT and other leading universities, the effectiveness of the learning apps is measured to ensure the continuous improvement of every child’s learning and to reach their aim of spreading literacy on a global scale. A festival celebrating one of the most successful video games will help North East parents to keep their youngsters safe online. Nethermined – an unofficial event around the game Minecraft – will be held in Newcastle for the third time on Feb 11-12 at Northumbria University Students’ Union. And along with giving fans of the game the opportunity to be involved in a wide range of activities including playing Minecraft, meeting some of the top YouTube gamers and taking part in workshops, special sessions have also been put in place for parents. A special Parents Zone has been set up as part of this year’s event, where parents can get valuable tips about protecting their children who play games online, as well as learning more about their youngsters’ favourite games. Organiser Michelle Poller, who set up the festival three years ago for her daughter who was too young to go to official Minecraft events on her own, added that Nethermined also has a strong educational value. “It’s not just about playing games for fun,” said Michelle, from Newcastle. “Minecraft is now widely recognised as a virtual reality educational tool and we have brought in a number of experts, including IT Educator of the year 2015, Joel Mills, who will be showcasing the way virtual reality can be used in education. To allow more people to attend organisers have also now released a family ticket for £60 which can be used by two adults and two children, or one adult and three children. 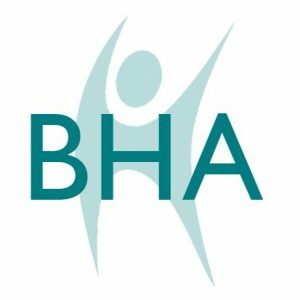 Heathfield Academy Trust has changed its name to Lingfield Education Trust to reflect its continued growth plans. The Darlington-based Multi-Academy Trust, which is comprised of five local schools and recently put forward an application to open a further one in Catterick, was initially named after Heathfield Primary, the first school to join the Trust after converting to Academy status. Nick Blackburn, chief executive of Lingfield Education Trust, said: “We remain proud of our roots in Heathfield Primary School, however we have opted to rename our Trust so that we represent all of our schools equally. Lingfield Education Trust will find out in February if plans to open Cambrai Community School on the former Darlington College site in Catterick have been approved. The school, set to open in 2018, will be for children aged between three and eleven years and will include a primary school and a nursery. Catterick has been identified as an area of local need and it is expected that there is a shortfall of 730 primary school places in the area. In addition, the MoD has proposed 315 additional service families homes by 2019 in the surrounding area, accelerating the demand.